Other Hosting Services reviews by real, verified users. Find unbiased ratings on user satisfaction, features, and price based on the most reviews available anywhere. 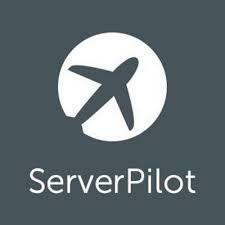 ServerPilot is a secure control panel optimized for hosting WordPress and PHP websites on cloud servers. X server is a rental server. Sedo Domain Parking offers domain parking services for unused domains. SimpleCast is a podcast hosting solution enablingpodcasters to publish and distribute audio on the internet. WebFaction is a cloud hosting solution for developers. VMmanager is a complete toolkit for virtual machines management, VPS provisioning, and building of high-availability clusters. Based on KVM and OpenVZ virtualization systems. Save time designing and hosting WordPress. With wetopi you can run affordable finely tuned WordPress containerized machines with zero-investment on sysadmin. What you get? – With containerization you get complete system isolation for each of your WordPress sites. – Finely tuned WordPress configurations (we’ve combined our knowledge of hosting hundreds of WordPress sites to make sure your server is configured to its optimal state). – Instant clones. If you need to experiment, you don’t need to backup, just clone. You can clone your live site or even another clone. – Single Sign On for all your sites. – Free automated Let’s Encrypt SSL/TLS Certificates. Https gives you: Security, 1.5× speed improvement and the bonus of a Google ranking boost. – Instant resource scaling. – Next Generation Infrastructure for your WordPress by using Docker – the most advanced container technology today. BunnyCDN is a fast CDN tool that comes at a fraction of the cost of traditional Content Delivery Networks, it offers features and performance with a fast global network. ComputeHost is a leading provider of cloud hosting and web hosting services in India. PlotHost is a platform that offers cheap shared and reseller webhosting plans and domain name registrations services. MyQBHost allows us to commit a high level of availability and scalability that's suited for your company, no matter what size. Feature rich and backed by our high level of customer service and commitment, you can minimize your overhead and reduce your workload by letting us do the heavy lifting. PlanShell offers Redmine Cloud Hosting, an online project management and issue tracking SAAS integrated with GIT, SVN, financial, inventory, and file management. Bodis is a domain parking platform to help domain portfolio owners to earn money on undeveloped or unused domain names. Buddyns is a DNS replication service, gives DNS continuity and performance. Data Foundry provides data center colocation, disaster recovery and managed services for enterprise customers and small businesses across a variety of industries. DNS Check enables you to easily monitor, share and troubleshoot DNS records. Everest Cast is a stand-alone internet radio hosting control panel. Go4Hosting is a hosting and domain name registration services that proffers economical efficient services that elevate the online success to keep up the running time of a website. Hosted FTP allows you to host your site through Amazon Cloud services. Amazon S3 storage provides storage for users' needs and speed. Hosted FTP provides security and no ads. iWeb FTP is a file storage and sharing service for business. Users have unlimited secure transfers of files. File size is unlimited and technical support provided to users. MS provides fully managed dedicated Linux servers configured to host mail, web and database applications. Multacom is a data center owned is a neutral carrier. Provides a line of Internet-related services including dedicated servers. Prioritycolooffers colocation, dedicated servers and reseller hosting services. Set up a free WordPress (test & private) site in seconds to experiment, learn, teach or (re)design. QuickBooks is a business accounting software that allows you to manage accounts and prepare tax reports in highly secured, scalable and hassle-free environment. At Verito, QuickBooks hosting services empower you to access, edit and update your accounting and taxation data in real-time and in multi-user scenario anytime from anywhere around the world. RackSquared offers collocation and hosting services. RedisGreen provides Redis hosting services. Rednecsys is a cloud-based solutions that provide web hosting experience to customers with quality support. Rad Web Hosting provides a variety of hosting and data center solutions to clients around the world. Web Hosting, VPS Servers and Custom Dedicated Hosting Solutions provide clients with flexible options and ability to scale as their business needs dictate. Selectel provides dedicated and cloud services. ServerGrove offers shared, VPN and managed PHP hosting with email bundled in. Serverloft provides dedicated servers for professional businesses. Servers Australia offers solutions for all the hosting needs, cloud hosting, colocation, dedicated servers, PaaS, IaaS, and DRaaS. Temok provides Development, Domains and Hosting solution that help user improve productivity, build their brand, increase sales, reduce costs, and retain customers. Run ready-to-use and custom virtualized business applications on endpoints. Deliver over SCCM and other popular infrastructure, on-premises Hub servers, and private clouds. VersionPress provides version control for WordPress. MilesWeb is an authoritative web hosting company that offers high-caliber web hosting solutions. X3host is a platform that offer web hosting and cloud services. XLHost provides dedicated and virtual server hosting solutions. ZenCast is a powerful podcast management solution that allows you to host, publish, distribute and track your podcasts online. Hi there! Can I help you find the best Other Hosting Services solutions?